The Java do-while loop is used to iterate a part of the program several times. If the number of iteration is not fixed and you must have to execute the loop at least once, it is recommended to use do-while loop. 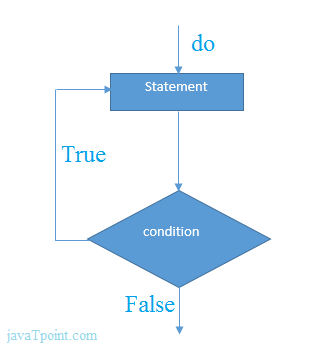 The Java do-while loop is executed at least once because condition is checked after loop body. If you pass true in the do-while loop, it will be infinitive do-while loop. Now, you need to press ctrl+c to exit from the program.